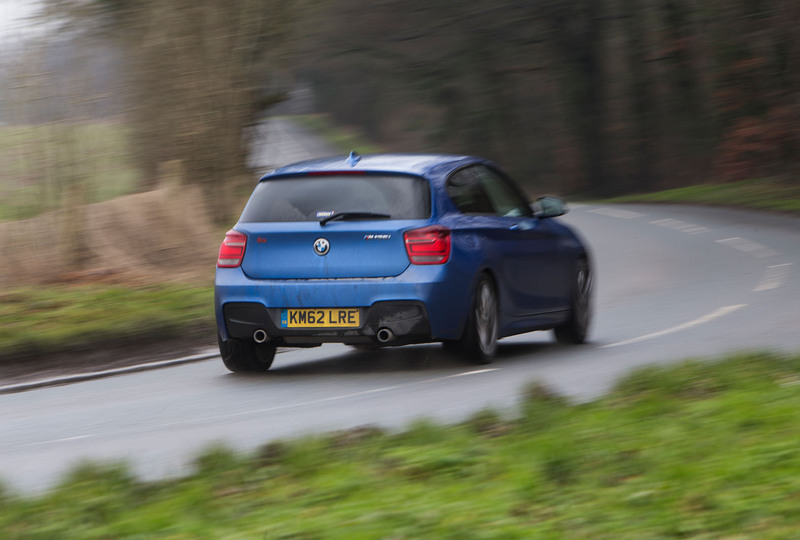 BMW M2 vs used M135i: is our modified hot hatch as fun to drive? Back in 2012, when the BMW M135i was the new skid on the block, you could barely pick up a car magazine or glance at a YouTube motoring channel without being bossily told how brilliant the rear-driven hot hatch was. Six years ago, the M135i really was a game changer. Despite costing less than £30,000, it brought a premium badge, rear-wheel-drive dynamics and more than 300bhp to a sector that hadn’t seen that set of attributes before. It was very good to drive too. And in an instant, a front-driven Ford or Vauxhall with two-hundred-and-something-bhp didn’t seem particularly clever. In all the fervour that surrounded the M135i at its launch, it was very easy to overlook one or two of its shortcomings, or at least put them to the back of your mind. Several years on, however, and with that early excitement having long since fizzled away, the mood has changed. Today, you don’t so much overlook the M135i’s flaws as itch to put them right. Flaws? There are some, but not many. The first is that the ride and handling balance was never quite as brilliantly judged by BMW as you would have expected. The car crashes heavily into potholes and sunken drain covers, and yet the body feels loosely controlled on an undulating road. Hit a sharp crest at any decent speed and, for a fraction of a second, you’d swear the rear of the car is about to take off. Job one: get that body tied down. I have a couple of theories here. For one thing, not equipping these second-tier M Performance models with an LSD clearly distinguishes them from BMW’s full-spec M cars, which do all have locking differentials. And for another, in many cases, an open differential will actually be safer. After all, one spinning wheel probably won’t put the car into a slide, but two spinning wheels probably will. The advantages of a locking differential compared with an open one far outweigh the drawbacks, though, especially when you don’t have any model hierarchies or corporate responsibility to worry about. Better traction, more predictable handling on the limit, power oversteer on demand. Job two: fit an LSD. In our quest to realise the M135i’s potential, we teamed up with renowned BMW specialist Birds. 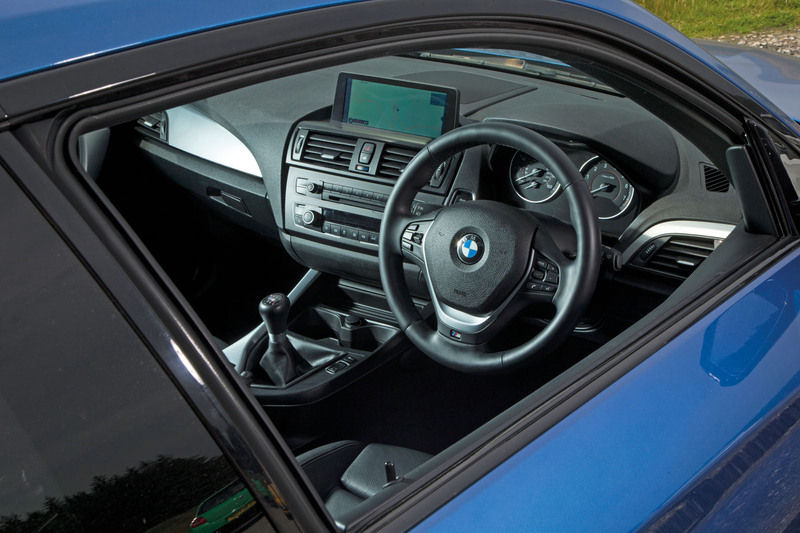 The company, based near Heathrow airport, has developed its own package of upgrades (which can also be fitted to the M235i as well as the later M140i and M240i). Its B1 kit, as it’s known, includes new springs and dampers, a Quaife LSD and an engine remap, along with a couple of other bits and pieces. Last summer, we bought a three-door M135i with just under 30,000 miles on the clock for £17,500. The full cost of the B1 upgrade is £6643 (fitted, including VAT and a 24-month warranty) so we’ve spent £24,143 all in. Incidentally, the upgrades can all be fitted individually. Today, you can pick up a slightly leggier M135i for £14,000 or so. The first job was to get the car handling properly. 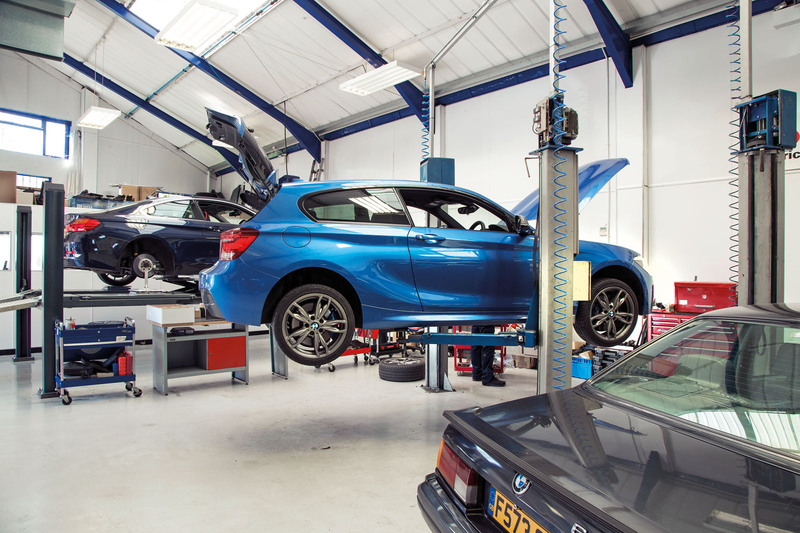 Working with vastly experienced racing driver James Weaver and his long-standing race engineer, Peter Weston, Birds has developed its own suspension kit for the M135i. It isn’t an ultra- stiff track set-up, though, as you might expect of a racing driver and his engineer. Instead, it’s a fast road set-up that aims to better the standard car’s brittle ride and wayward body control. The dampers are from Bilstein and springs from Eibach, but they’re not off-the-shelf parts. Instead, Weaver and Weston specified their own spring rates and defined their own damper curves. Bilstein builds the dampers specifically for Birds to those specifications. The new suspension lowers the front end by 10mm, and modest spacers widen the front track a little, making the car look more aggressive. The springs are 10% stiffer than the standard set-up and the dampers have less rebound damping. Sitting on stiffer springs, there is, inevitably, an edge to the ride quality over those bumps and divots in the road that you can’t see, but over the bigger stuff – potholes and sunken drains covers – the new set-up is a good improvement. Body control, meanwhile, is much better now, the car staying keyed into the surface of a yumping road rather than getting light and floaty. After that, we fitted the LSD, which meant we had the car handling the way we wanted it to. At this point, Birds fitted the short-shift kit and modified the clutch pedal to give it a heavier action. 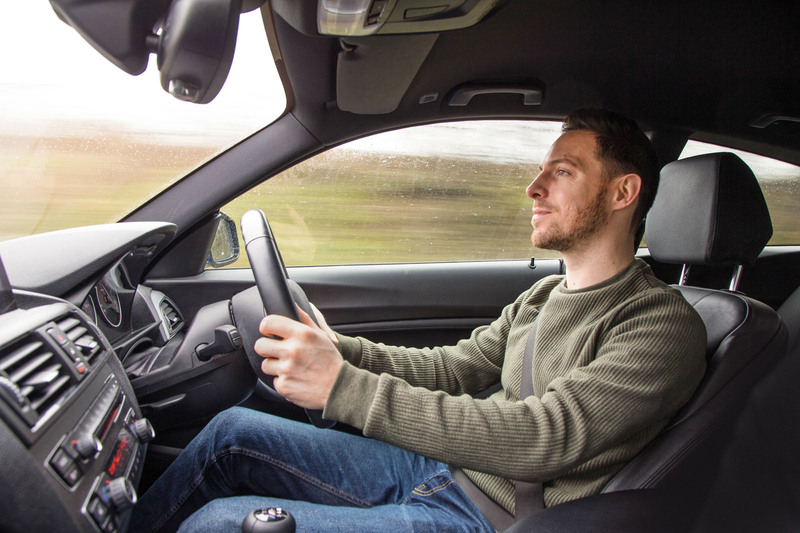 Both tweaks are effective when you’re up for a bit of a thrash – they make the car feel tighter and sharper – but in stop-start traffic, I could do without the leg workout. Finally, we moved on to the engine. With a simple, quick and cost-effective remap, this N55 straight six can be teased up to around 390bhp, but beyond that, you’re looking at very expensive modifications to keep it running properly. Besides, 390bhp in a car this size – not to mention a thumping 420lb ft of torque – is more than enough. The remapped engine is massively strong and the sharp throttle response and lively top end that characterise the standard motor have not been lost. All of which makes for a very compelling car indeed. The real success of this project, I reckon, is that we’ve put right the M135i’s shortcomings while preserving its good points, notably its very strong value for money. Over 9000 miles, the car was faultlessly reliable and – upgrades, normal servicing and vandal damage aside – we didn’t spend a penny on it. I think I’ll miss it enormously. 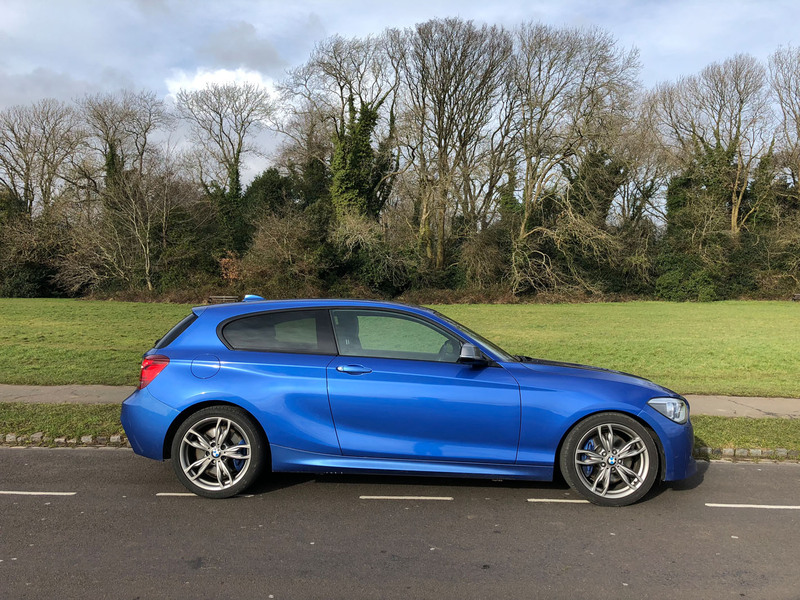 HOW DOES OUR M135i COMPARE WITH AN M2? With the two cars parked together, you wouldn’t struggle to work out which one was more expensive. In fact, sat next to the pumped-up, steroidal M2, the skinny and upright M135i doesn’t look like a performance car at all. What you probably wouldn’t guess, however, is that the plain-looking hatchback is actually the faster car. In fact, our M135i out-punches the M2 by 25bhp and 51lb ft of torque, so it feels stronger through the mid-range and more urgent near the redline. But with less power to deploy to the road, and wider tyres with which to do it, the M2 does have better traction. 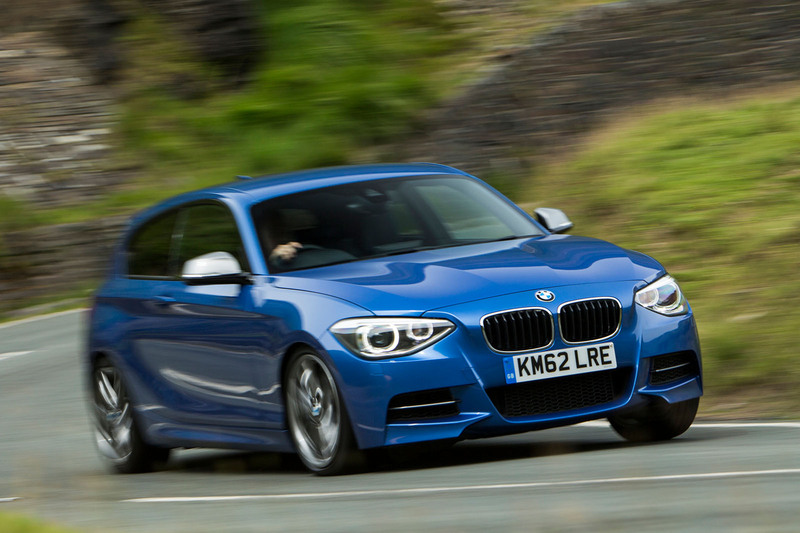 The M135i counters with greater pliancy on very bumpy roads. You feel the suspension working hard to keep the tyres pressed firmly into the road surface, whereas the M2 skips along a little. It is worth saying, incidentally, that this facelifted M2 is a big improvement over the early models, which suffered the same lack of body control that many recent high-performance BMWs have exhibited. This later car is much more confidence-inspiring. Where the M2 really gets one over on the M135i, though, is the stability and poise you feel in corners. Those swollen arches accommodate much wider tracks and you appreciate that fact out on the road. But even though these cars share a platform and use the same basic engine, they’re not really rivals. The M2 costs £46,700 new. You could build an M135i to this specification for £20,000. The M2 is a brilliant car. If you can’t afford one, though, a modified M135i at less than half the price really is the next best thing. VALUE FOR MONEY - Close to 400bhp for less than £25k. You’ll spend double that on a similarly powerful new Audi RS3. MODIFICATIONS - With new suspension, a limited-slip diff and more power, we made an already good car even better. OVERALL QUALITY - The car was driven hard, but it didn’t let us down at any stage and it still felt fit. TEMPERAMENTAL BLUETOOTH - Bluetooth always worked for making phone calls, but it mostly didn’t work for playing music. VANDAL DAMAGE - We came back to the car one evening to see that it had been badly keyed down one side. What you want from your Car, I could do without the heavier clutch pedal also, there must be away of getting the same result, and I agree, 390bhp is all you need because on give or take Roads, anything with more just can’t use it all. What does the remap do to fuel consumption? Not surprised it was keyed unfortunately...those who once drove Audi's (like a tool) are back in BMW's so the cars are easy targets when parked up on a street at night. I've driven a couple of the current 1's...you can appreciate the RWD certainly but if people are fussed about quality interiors then they will be a bit disappointed. I am sure this car, overall, as a relatively affordable purchase, is it a bit of a blinder. Dear me, when are people going to stop with the Audi cliches? Do you think it's hilarious, do you think you're Clarkson from 15 years ago? Joke wore thin a long time ago, and various posters on here haven't realised. Nope I don't have an Audi or BMW, but I've had them before, lazy arsed comments like this just bug me and add zero to a forum or comments section. I dont think being a bmw attracts the vandals, they're not fussy as a friend at work 02 civic proves, having had its passenger side mirror ripped off, it was pavement side, overnight. Are these upgrades really that beneficial? Is the standard car really that bad that £6k needs to be spent? I'd understand for track use but how many drivers really push a car as powerful as this near the limit on the road to realise its shortcomings?, the ride quality I can understand but the lack of dif and the float over crests are surely only noticed beyond our speed limits? ...undoubtedly shall be appreciably stiffer, making it somewhat less comfortable to drive most of the time -- as after all anyone using such a car every day would spend most of the driving poodling about.